BCH specialises in turnkey systems for the manufacture of a large range of products including starch gel based liquorice, 100% fruit products, caramel, syrups, jams and preserves. We also provide advanced cook/cool technology for the production of chilled and frozen meals, sauces, fillings and fruit toppings. Our extensive range of skills, machinery and workshops enable us to undertake bespoke and tailor made equipment to be built within strict completion deadlines. 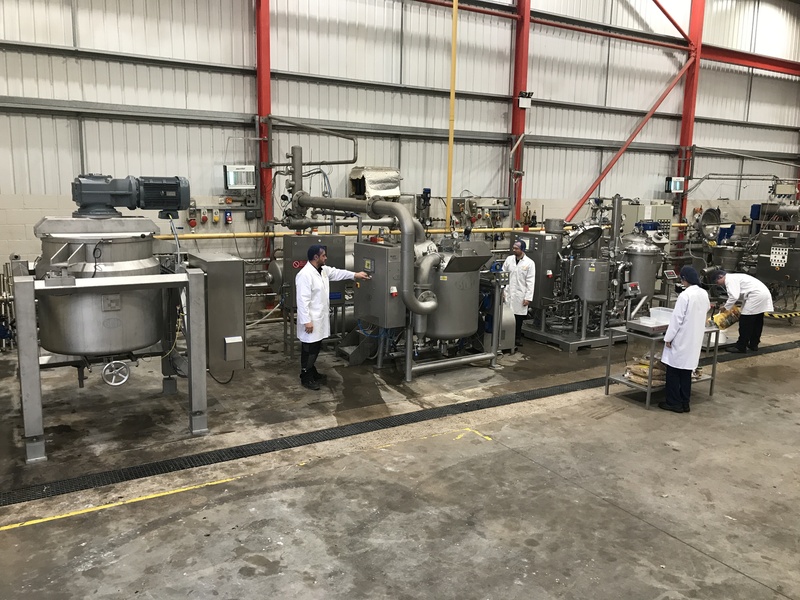 To assist our worldwide customers with meeting the many challenges faced in today’s fast changing food industry, our unique Innovation Centre is available for assistance with new product and process development, as well as equipment evaluation before initial investment proceeds. The Centre houses a wide range of equipment, services and facilities, all of which are supported by in-house personnel with a wealth of knowledge to provide support in process design, food science, engineering and software. BCH know-how enables all our clients to develop new and exciting products, to test feasibility, then up-scale production ultimately enabling the end product to reach the wider market place at a much faster pace.